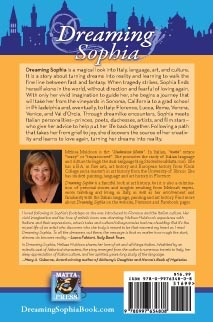 Dreaming Sophia is a magical look into Italy, language, art, and culture. It is a story about turning dreams into reality and learning to walk the fine line between fact and fantasy. When tragedy strikes, Sophia finds herself alone in the world, without direction and fearful of loving again. 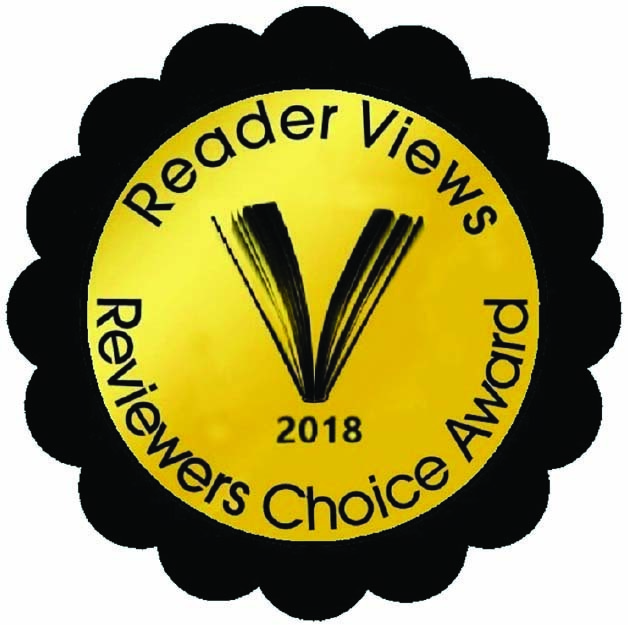 With only her vivid imagination to guide her, she begins a journey that will take her from the vineyards in Sonoma, California to a grad school in Philadelphia and, eventually, to Italy: Florence, Lucca, Rome, Verona, Venice, and Val d’Orcia. 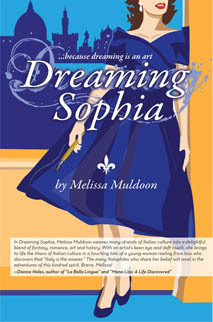 Through dream-like encounters, Sophia meets Italian personalities—princes, poets, duchesses, artists, and film stars—who give her advice to help put her life back together. Following a path that takes her from grief to joy, she discovers the source of her creativity and learns to love again, turning her dreams into reality.